With one of the UK's largest student populations, Newcastle is today home to over 58,000 full time students across two major universities. Today, there exists a considerable demand for student housing, which is seen by investors as an opportunity for student property investment in Newcastle and the surrounding areas, with a number of exciting new developments having been launched in recent times. Newcastle upon Tyne, commonly known simply as Newcastle, is one of the largest cities in the North East of England. Originally the main city of the county of Northumberland, it became the administrative centre of the newly formed Tyne and Wear in 1974. First recorded with settlement in Roman times, Newcastle has enjoyed a long and illustrious history culminating in the Industrial Revolution in the 1800s. The city of Newcastle is built upon the northern bank of the River Tyne, built in the traditional medieval layout of narrow streets and alleyways. 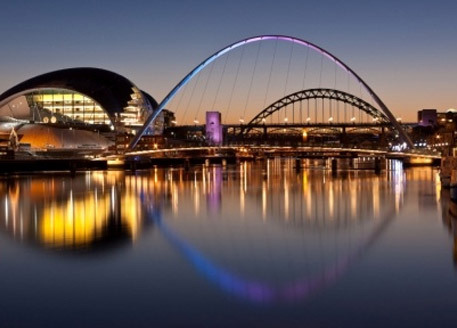 Connected to other northern cities by the A1 motorway, Newcastle is just a half hour drive from Sunderland, two and half hours from Edinburgh and two hours from Leeds. Newcastle also has its own airport, with strong international links and the city's train station plays a strong role in making travel between the North East and the rest of the UK possible. South Shields, just half hour from Newcastle, is an historic port town with shipping lanes and frequent routes to the European mainland. The city of Newcastle is home to almost 300,000 people; ranking in the top 40 largest cities in the UK. The greater Tyneside metropolitan area is home to more than 850,000 people; whilst Tyne & Wear has an even larger 1,000,000 residents. With two large universities (University of Newcastle and Northumbria University), a healthy proportion of the population is made up of young and intelligent students; offering investors a fantastic opportunity for student accommodation investment in Newcastle. Newcastle achieved considerable success, fame and growth as a city during the Industrial Revolution. Whilst the 1700s saw Newcastle become a strong printing and glassmaking power in England, the Industrial Revolution transformed the city in the 1800s when shipbuilding and industrial engineering became the mainstay of Newcastle's trade. Whilst the depression and unemployment of the 1970s and 1980s hit Newcastle hard with widespread closures, the city has bounced back and has since become a national leader in education, digital technology and retail. Northumbria University is based in Newcastle-upon-Tyne, a large metropolitan city in the North East. The university is split into two city centre campuses; City Campus East and City Campus West. Serviced by the A167 motorway, the campuses are well connected to the rest of the country by close links with the A1 motorway. Both City Campuses are less than a mile from the nearest train station and just 15 minutes from the airport. Scottish capital Edinburgh is just two hours away by train and English capital London less than three hours. With such a prime central location for both the university and the student accommodation, those studying at Northumbria University enjoy endless amenities within walking distance. Northumbria University is one of the largest universities in the UK with a population of more than 30,000 students. The university is within the top 20 in the UK for granting places to overseas students, making Newcastle a strong hub for student property investment; given international applicants disposition towards private student accommodation. Applications to study at the university have risen by almost 50% in recent years, due to the increased development efforts made by the university. 87% of all those currently studying at Northumbria University will see their degrees through to completion, whilst more than half will be rewarded with a 2:1 or above when they finish their studies. 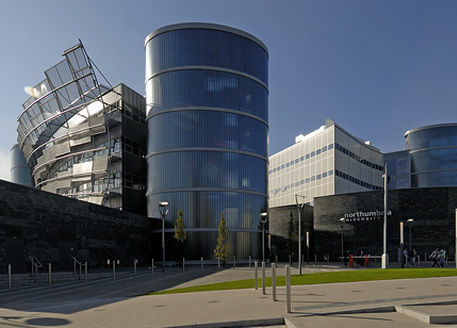 Northumbria University is one of the most successful within the UK for producing employable graduates, and is the most successful in this regard in the North East. The most recent count put 90% of graduating students in employment or further study within six months. Northumbria University goes to great lengths to ensure that their degrees are professionally certified; establishing links with more than 550 employer sponsors and 50 professional bodies. Whilst the academic spectrum is incredibly diverse, the university is most famed for its excellence and popularity within computing, sports science, education and business. Newcastle University is based at a city campus near the area of Haymarket to the north of Newcastle. Centralised mainly around the Armstrong building which has been present since 1888, Newcastle University has recently undergone a £200 million redevelopment to modernise the campus. The city centre is less than a 5 minute walk from campus, with Newcastle Railway Station being less than a mile away and the A1 Great North Road just a 15 minute drive. Connection with this road network brings other northern cities such as Leeds, Manchester and Liverpool (along with Glasgow) within a 3 hour drive; whilst London can be reached in the same time when travelling by train. Newcastle International Airport is just 6 miles from city and flies to almost 100 destinations around the world. Newcastle University is home to around 20,000 students, with two-thirds of the population made up of undergraduates. The university also employs a further 5,000 members of staff to provide a healthy 15.3 student to academic staff ratio. Students from the UK and EU account for around 80% of the population, with the remaining fifth hailing from overseas. State school students take up around 70% of the places, with 30% public school candidates; applications per place are around 7. Almost 95% of all students at Newcastle will complete their degree, with around 80% of these graduating with a 2:1 or above Newcastle University tries to ensure that all students gain affordable housing in their first year, with Jesmond, Shieldfield and Sandyford being popular areas for student property investment. 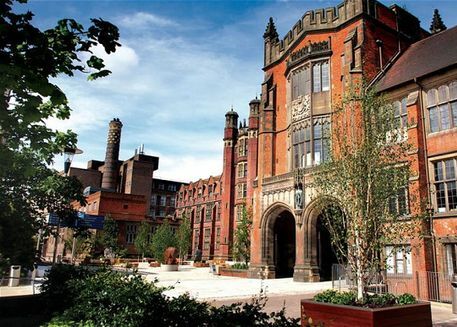 Newcastle University's origins in the School of Medicine are still evident in its performance in Medical and Science courses, with many of these ranking in the top ten in the UK. Other strengths of Newcastle University include Accounting, Finance, Linguistics, Marketing, Civil Engineering and Archaeology. The academic profile enjoys a healthy split between three main faculties with a number of sub-faculties in each; Newcastle University is consistently voted as one of the best institutions in the country; with MSN ranking it as the absolute best in 2008.